A Scribner Classics edition of Andrew Solomon’s National Book Award-winning, bestselling, and transformative masterpiece on depression—“the book for a generation, elegantly written, meticulously researched, empathetic, and enlightening” (Time). Winner of more than a dozen awards, The Noonday Demon “takes readers on a journey of incomparable range and resonance” (O, The Oprah Magazine), revealing the subtle complexities and sheer agony of depression. Andrew Solomon interviews patients, doctors and scientists, policy makers and politicians, drug designers and philosophers to describe the vast range of available medications, the efficacy of alternative treatments, and the impact the malady has on various demographic populations—around the world and throughout history. He also explores the thorny patch of moral and ethical questions posed by emerging biological explanations for mental illness. With uncommon humanity, candor, wit, and erudition, The Noonday Demon “is a considerable accomplishment. It is likely to provoke discussion and controversy, and its generous assortment of voices, from the pathological to the philosophical, makes for rich, variegated reading” (The New York Times). "All encompassing, brave, and deeply humane...It is open-minded, critically informed, and poetic at the same time, and despite the nature of its subject it is written with far too much élan and elegance ever to become depressing itself." "Both heartrending and fascinating...the book has a scope and passionate intelligence that give it intrigue as well as heft." "The book for a generation...Solomon interweaves a personal narrative with scientific, philosophical, historical, political, and cultural insights...The result is an elegantly written, meticulously researched book that is empathetic and enlightening, scholarly and useful...Solomon apologizes that 'no book can span the reach of human suffering.' This one comes close." 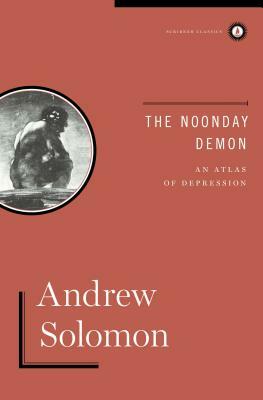 "The Noonday Demon is the ideal and definitive book on depression. There is nothing falsely consoling about this account, which is the opposite of a bromide, unless to be accompanied by so much intelligence and understanding is a consolation in itself." "An exhaustively researched, provocative, and often deeply moving survey of depression...original and vividly recounted. Solomon writes engagingly; his style is intimate and anecdotal...witty and persuasive. Over all...The Noonday Demon is a considerable accomplishment. It is likely to provoke discussion and controversy, and its generous assortment of voices, from the pathological to the philosophical, makes for rich, variegated reading." "It's a compendium, it's a think piece; it's both!...Remarkable... [Solomon] has a killer eye for detail, as well as curiosity and compassion."